Modern living and a rare opportunity to own such a beautiful 3 bedrooms 2 baths home! 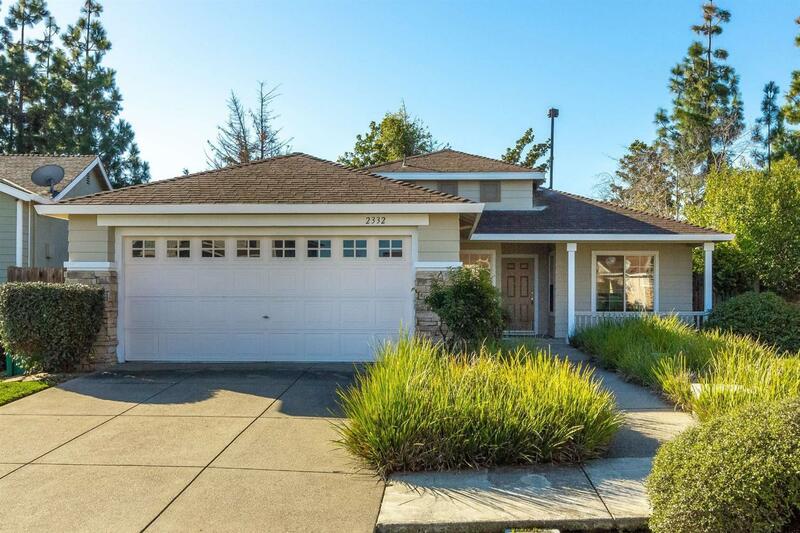 Its front curb appeal is inviting with lush ground cover plants, wide walkway, no step up to front door, a white front porch, and a low-maintenance concrete driveway for the 2 car garage. The contemporary style of the interior boasts a high ceiling in the living room and dining area. Its open floor plan provides a comfortable spacious setting for entertainment and family gathering. Every room, especially the master suite, is light filled. Through the sliding door in the dining area, you can look out to a well maintained peaceful backyard with a huge lawn for play, and lots of space for vegetable/herb planter box. This home is close to various shops/stores (Winco, Costco, Home Depot, Walmart, Mall), restaurants, and easy access to freeway. Don't miss out on this one!